Returning to the Figaro class for the first time in 2017 following his impressive debut season in 2016, Will Harris will take over the reins of The Offshore Academy for the Solo Maitre Coq, from Hugh Brayshaw who sits this one out to finalise his funding for June’s Solitaire URGO Le Figaro. Posting some impressive results from the outset of the 2016 season Harris won the Rookie prize for the Solo Concarneau and Solo Maitre Coq going on to be the overall Rookie Champion for the 2016 Solitaire du Figaro. Joining Harris on the start line on Monday, British solo sailors: Mary Rook, Inspire + and Alan Roberts, Seacat Services will battle out two days of inshore racing followed by a 320 mile offshore race. Based in Les Sables d’Olonne, the iconic home of the Vendée Globe, the 41 boat Maitre Coq fleet will pass down the channel that all Figaro sailors aspire to one day go through on their way to a Vendee Globe start. The Solo Maitre Coq will be the last chance for sailors to line up and test themselves ahead of the Solitaire URGO Le Figaro, the season’s major race, which starts in a month’s time from Bordeaux. 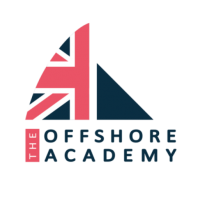 The Solo Maitre Coq will offer the 41 entrants the opportunity to test boat handling and speed in the back to back inshore races taking place on Monday and Tuesday culminating to the offshore race start on Thursday 27th April - follow the race tracking via the Offshore Academy website.